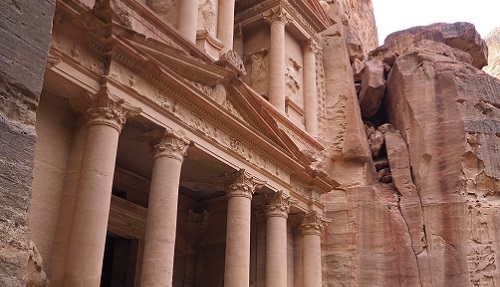 Our Petra and Wadi Rum tour from Aqaba is available daily with guaranteed departures, providing the ultimate two day experience visiting Jordan’s two greatest highlights. 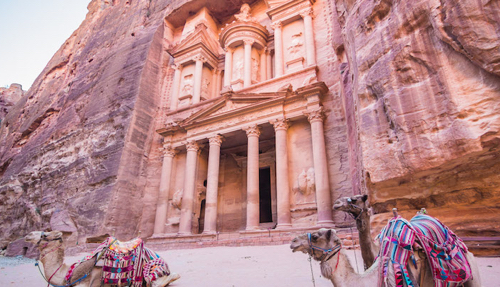 The ‘forgotten city of Petra’ is one of the 7 Wonders of the World, unrivalled worldwide and never failing to impress visitors new and old. 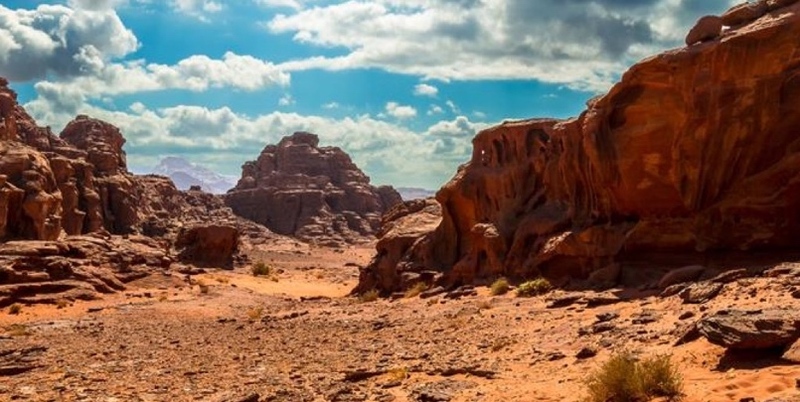 Wadi Rum is the unique reddish desert that has been termed the ‘valley of the moon’. 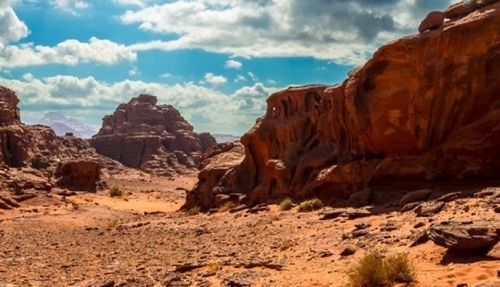 Our Petra and Wadi Rum tour from Aqaba combines these two amazing sites with an overnight stay in a Bedouin camp in Wadi Rum for an added experience, to create a trip that will remain with you forever. 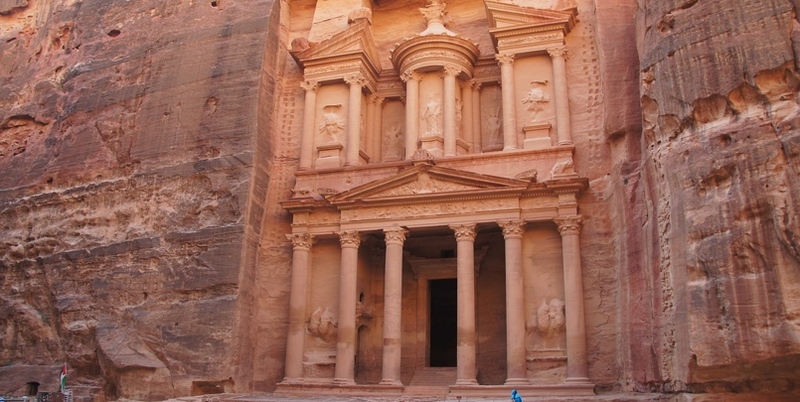 Eat lunch in a popular Jordanian style restaurant, to savor the local cuisine. 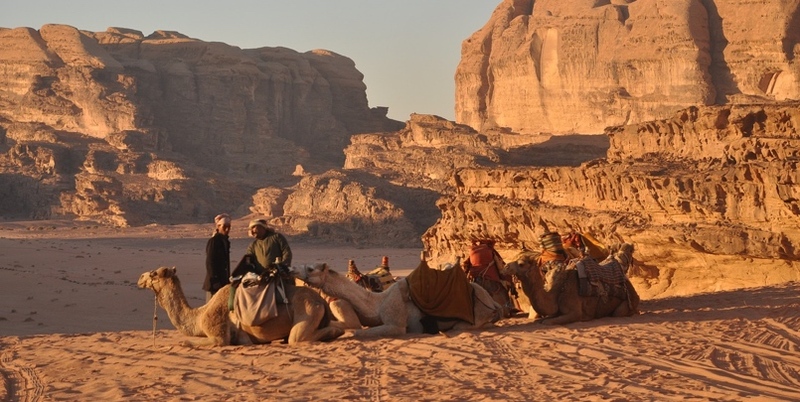 18:00 – Arrive to the Bedouin Camp in Wadi Rum in time for a dinner and an evening under the stars. 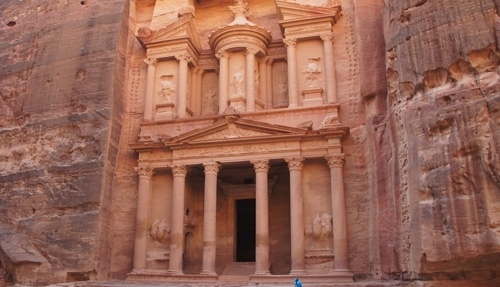 14:00 – Arrival in Aqaba, break and city tour. 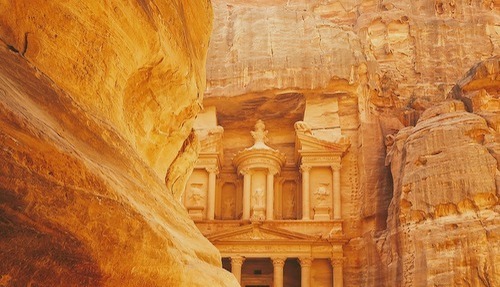 The tour price includes: hotel pickup and dropoff, all transportation, entrance fees to Petra National Park, lunch, guiding in Petra, overnight in a Bedouin Camp (or hotel in Aqaba if preferred), dinner in the camp, breakfast, jeep safari in Wadi Rum, entry fee to Wadi Rum national park. 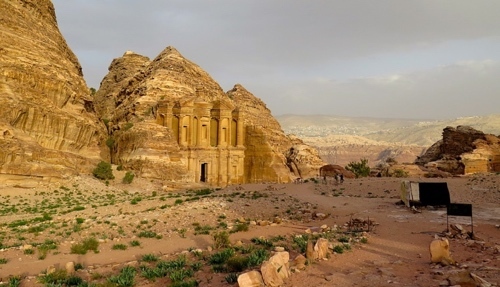 In winter months, overnight will be in hotel in Aqaba (in double room) due to low temperatures in the Bedouin camp.